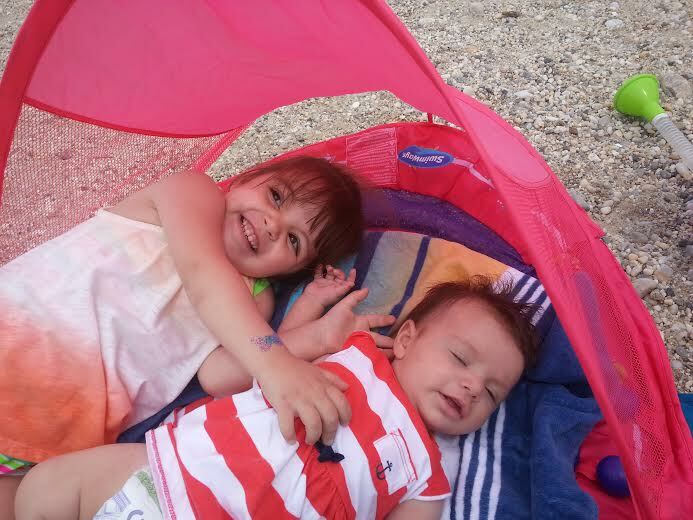 Bringing your family to the beach for the day has to be planned out. 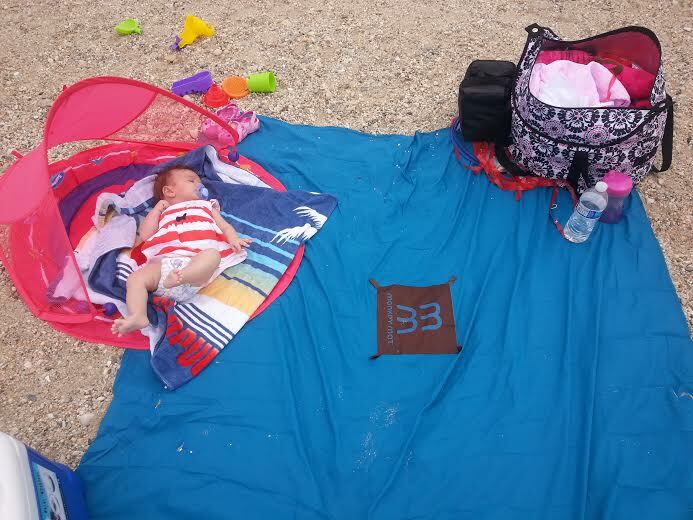 Kids need a lot of stuff and there are some great products out there that can make the beach day so much easier. A local Momee friend asked me to come up with this list and I thought it was a great idea for a post. 1. 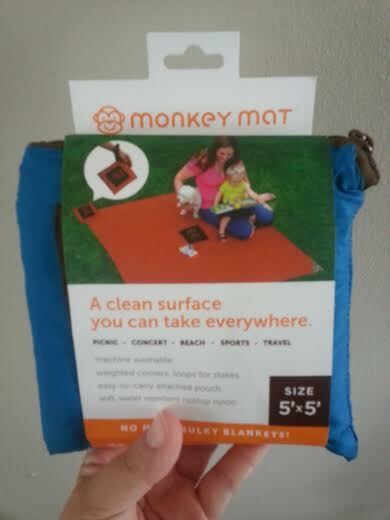 Monkey Mat– lightweight surface you can take anywhere. This 5′ x5′ mat has weighted corners so it stays down. 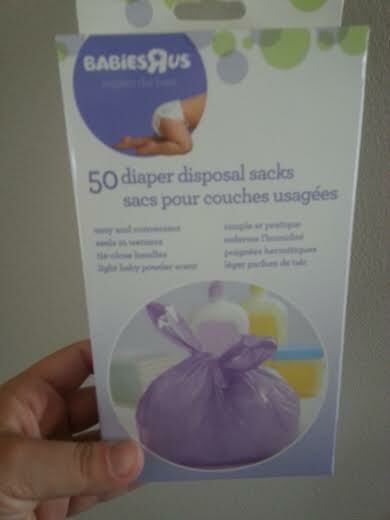 It is machine washable and can be attached to your diaper bag in a convenient pouch. 3. 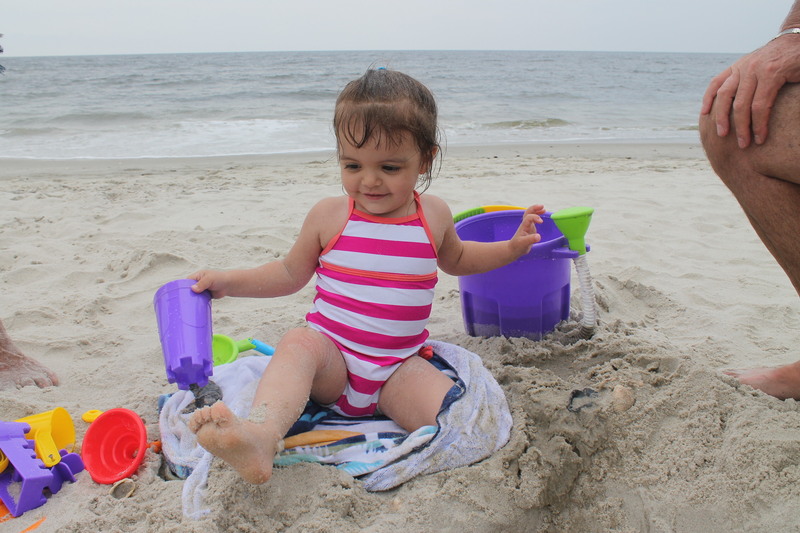 Sand and Water Bucket Playset $9.89 (13 pieces)-This is a really fun set that my parents got Mia for the beach. 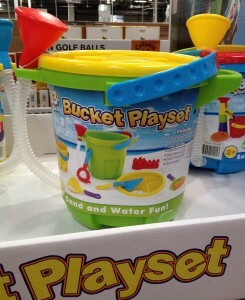 What I love about this is that you can add water to the bucket and have a good time with sand too. 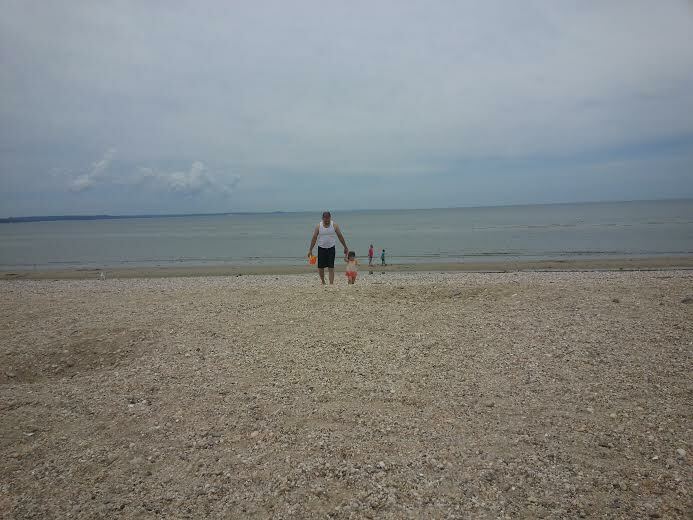 And all the toys fit in the container for easy storage and carrying it back and forth from the car to the beach. 4. 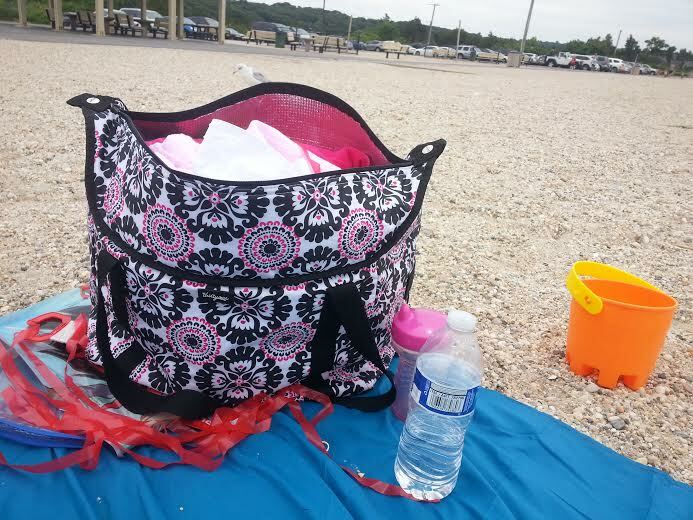 Fresh Market Thermal Bag from Thirty One Gifts- I love this bag to bring to the beach it keeps everything cooler since it is a thermal bag. 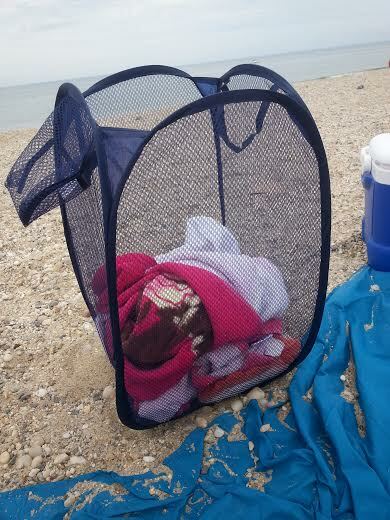 It is a lightweight tote and fits all the snacks and drinks we need for our beach day. 6. 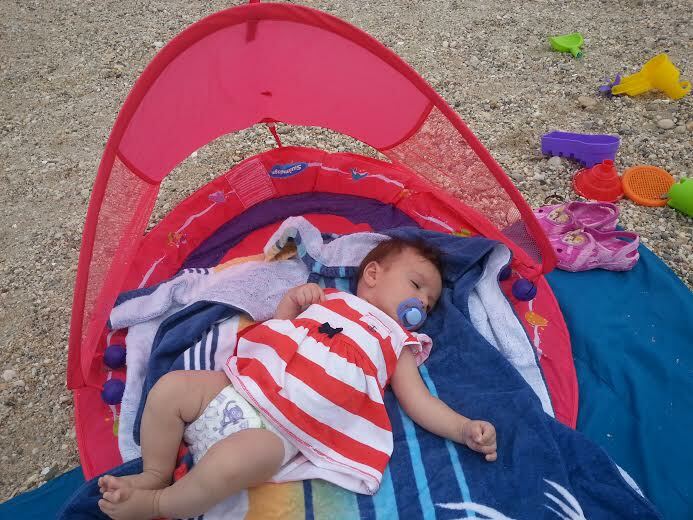 Swimways Baby Spring Float with canopy- I use this on the beach to give my almost 3 month old a little shade. 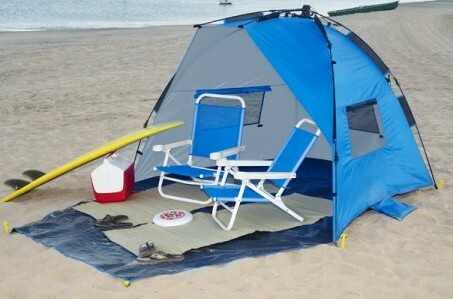 The canopy is a nice addition and I just lay a towel on top for extra comfort. My three year old loves laying under it with her sister too. 7. 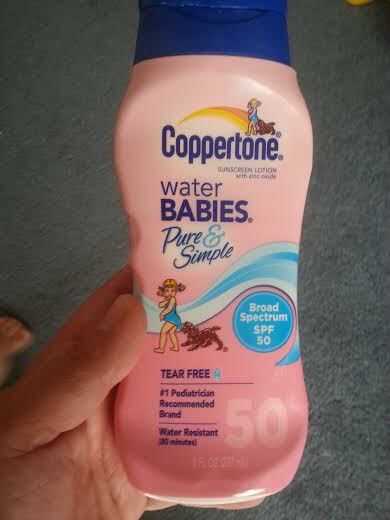 Coppertone Baby Sunscreen SPF 50- Always protect your little ones from the sun with a great sunscreen. Lotion only so you know it is covering all of your child’s skin. As convenient as the spray is, there has been a lot of research saying that it is not as effective. 9. The Knot Genie – NO MORE TEARS WHEN BRUSHING HAIR. Mia is using the Knot genie with no problems , but I may get her the Teeny Genie to put in my diaper bag for poolside this summer . I love this product and you will too. 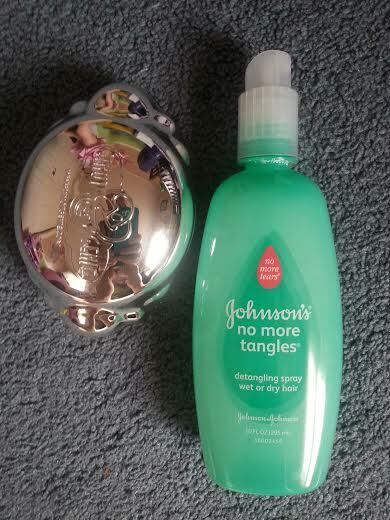 I also use Johnson & Johnson Detangling Spray. 10. 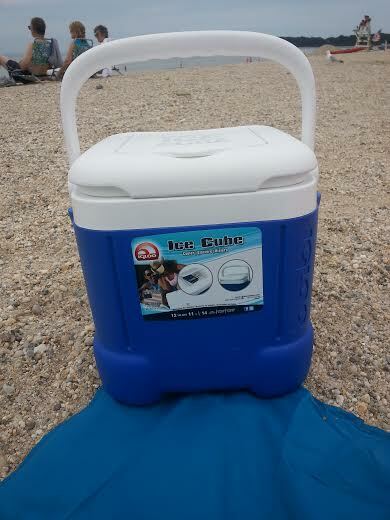 A small Igloo Cooler (Ice Cube size)-Perfect for packing a lunch and drinks for a family of four. 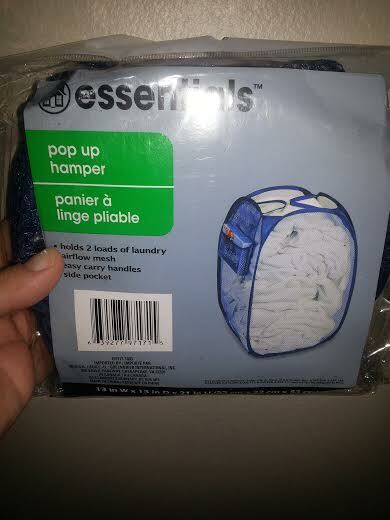 With a top compartment in the lid that holds plastic silverware and napkins. 11. Babies R Us Stroller Fan- Battery powered and perfect to clip on anything. 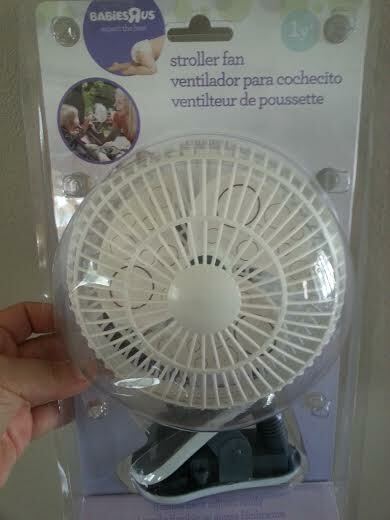 My favorite part is your child’s fingers are always out of harms way of the blades with the plastic cover on the fan.